Wealth Solutions is a specialist in selling and creating limited editions of extremely rare spirits. The Company placed on the market the oldest whiskies in the world, or cognacs dating back to the turn of 18th and 19th century. 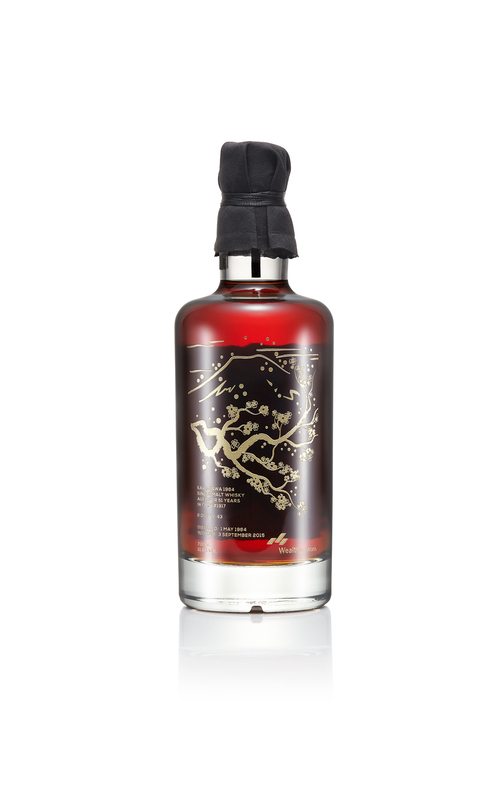 The last edition created especially for its clients is Karuizawa 1964 51 YO – the longest maturated Karuizawa ever. Only 43 bottles were filled in this series, at cask strength, natural colour and non-chill-filtered. The cask used for this edition is one of the last cask from 1960s. 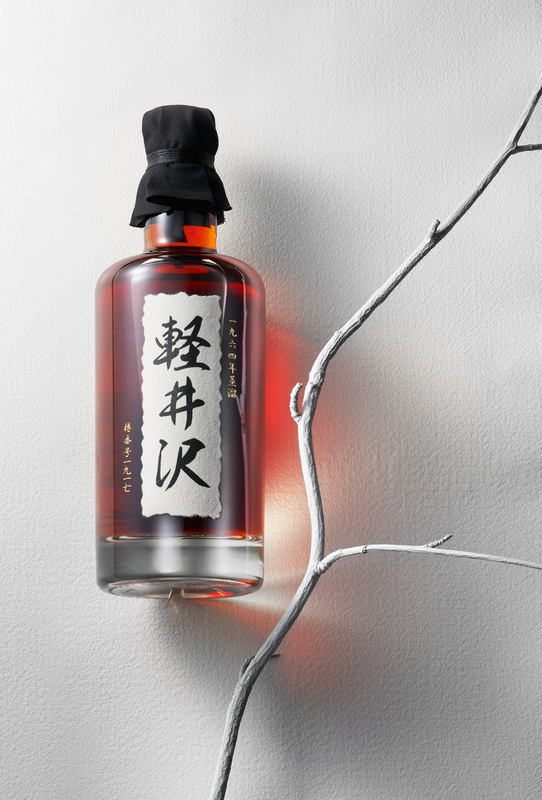 This whisky comes from a legendary, closed, Japanese distillery. Karuizawa used to produce whisky on a small scale and was rather focused on the domestic market. This continued from its establishment in 1955 until 2000 when the production was ceased. Although whisky is no longer produced, there have still been some casks left, however every year the number decreases. Unfortunately for the distillery, it gained world recognition only after it was closed. As Karuizawa is no longer licensed to produce alcoholic beverages and the distillery building has a new owner, there will be no new casks on the market and no one knows when the last whisky will be bottled. This means that such rare and old spirit deserves a special setting. 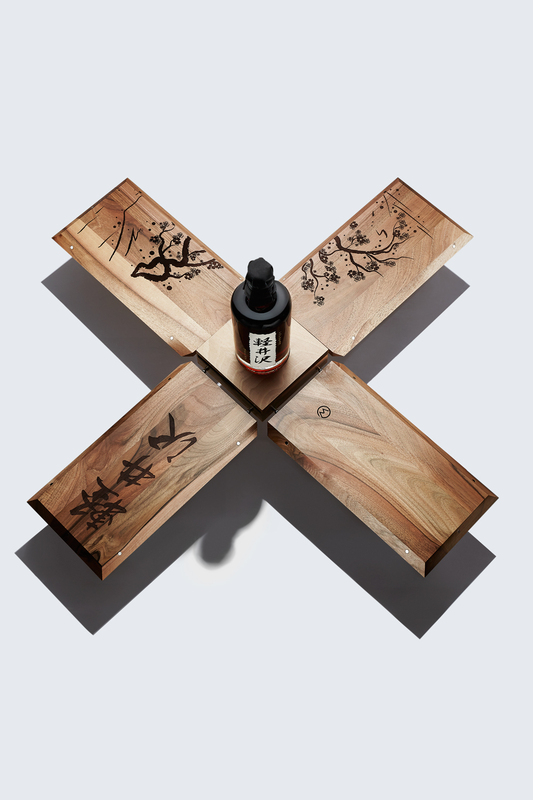 The bottle has been designed by Wealth Solutions’ creative team specially for the company’s Karuizawa editions. Furthermore, each bottle is numbered and comes with a special wooden box. The box was designed and made also specially for this edition. It consists of an independent base, top lid and four walls joined by a system of hooks and magnets. Each wall is veneered with walnut wood and decorated with a different part of a single picture representing a cherry tree inflorescence. “This innovative type of box was designed especially for this project. It is simple in its form, just like the best examples of Japanese design, but at the same time it offers excellent bottle presentation opportunities . We can open it from one side, or from all sides at once, with the walls forming a cross, we can put all the walls together and display the picture of a cherry tree. The possibilities are unlimited,” said Maciej Rutkowski, Creative Director, Wealth Solutions. David Broom, one of the most recognised whisky critics around the globe and a columnist for the Whisky Magazine, created a special booklet about Karuizawa. Each bottle of Karuizawa 1964 51YO will be accompanied by this booklet, which describes the history of the distillery and shows the uniqueness of this edition. “Inevitably, the majority of casks which were saved came from the distillery’s latter period. As the whisky had never been intentionally laid down for extra-aginged iterations, the fact that there were some casks left from the 1960s was nothing short of a miracle. That they were of high quality was even more of a pleasant surprise. This was old, old-style Japanese whisky, of a character that would never be seen again. It is what you now have in front of you,” wrote Dave Broom in the booklet. 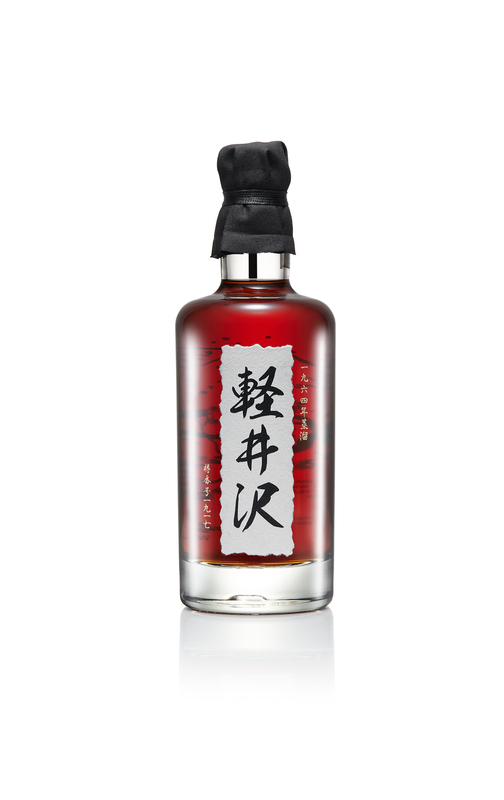 All bottles of Karuizawa 1964 51 YO were sold before the official launch of the product and it is not surprising. The same situation was observed in 2012 when Wealth Solutions launched Karuizawa 1964 48 YO. Wealth Solutions was established in 2007 with a mission to provide unique products for collectors. The company was created by real enthusiasts of exceptional goods such as fine Bordeaux wines, top quality whisky, and art. Over the past ten years, more than 8,000 clients have trusted Wealth Solutions by purchasing top quality collectibles and using the company’s expertise. In 2012, Wealth Solutions had the exclusive privilege to introduce the Glenfarclas 1953 58 YO single cask whisky. The cask no. 1674 was selected by a panel including George Grant, successor of Glenfarclas, and Serge Valentin – one of the most important whisky reviewers in the world. In 2013, Wealth Solutions and Number One Drinks Company introduced an exceptional 48-year-old Japanese whisky from the Karuizawa Distillery. Cask #3603, filled in 1964, is one of the oldest Japanese single malt whiskies in history. In 2014, Wealth Solutions, thanks to its partnership with Gordon & MacPhail, was proud to present one of the world’s oldest whiskies to the public. The beverage was produced in 1948 within the walls of the Glen Grant distillery, then matured in a cask no. 1369 and bottled after 66 years by Gordon & MacPhail. One year later Wealth Solutions had the exclusive privilege to introduce Gordon & MacPhail Glen Grant 1950 65 YO and Gordon & MacPhail Glen Grant 1949 67 YO. Furthermore, In 2015 Diageo bottled for Wealth Solutions clients an extraordinary beverage – Clynelish 41YO. This is the oldest single malt whisky bottled at Clynelish so far. In 2016 Wealth Solutions presented he oldest whisky produced within the walls of Tomatin and whisky, which comes from the oldest Tomatin vintage: 1967. But that’s not all. In 2014 Wealth Solutions and the Tiffon Cognac House introduced a limited edition of L’esprit de Tiffon cognac. This fully pre-phylloxera beverage was created from distillates, where the oldest cognac dates back to 1805. In 2015 the Bache-Gabrielsen cognac house and Wealth Solutions launched a limited edition of Le Sein de Dieu cognac – totally pre-phylloxera beverage, with the oldest component dating back to 1790. Wealth Solutions create also the line of the Spirit Watches – timepieces with a drops of rare and antique spirits. All listed special releases were specially created for the clients of the Wealth Solutions company. Wealth Solutions was the originator behind the idea of creating the Spirit Watches line, featuring watches with capsules filled with special and old alcoholic beverages. The first in the series – the Cognac Watch – had the 1762 Gautier cognac inside. The beverage was officially registered by the Guinness World Records™ as the oldest cognac ever sold on the auction market. The second in this line – Rum Watch was the world’s second watch equipped with an alcohol capsule and the first one with rum inside. It was not your usual alcoholic beverage, but the 1780 Harewood Rum, the oldest rum in the world, which was also confirmed by the Guinness World Records™. Wealth Solutions has decided to continue the production of this extraordinary line and create the Whisky Watch. Beverage placed inside the capsule is Old Vatted Glenlivet 1862 – the world’s oldest whisky.